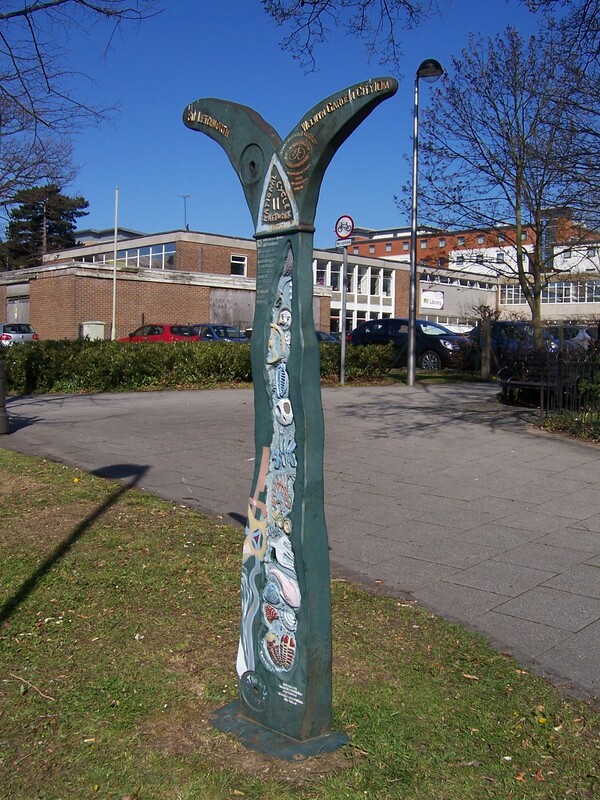 Part of the national cycle network, this fish sculpture was unveiled in 2000 as part of the millennium longest cycle ride event. This page was added on 07/12/2011. Whoops! It still looks fishy to me! I’ve seen this described as the ‘tail flukes of a diving whale’. But Sustrans says it is an abstract Fossil Tree, designed for them by Jon Mills as markers on the National Cycle Network. The fossils depict ‘the passage of time from early primitive creatures to the ultimate demise of fossil driven technology’.